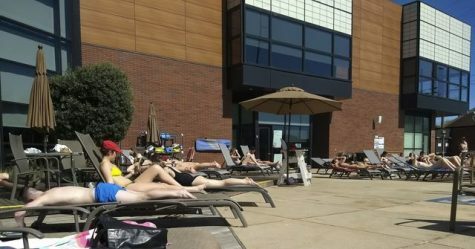 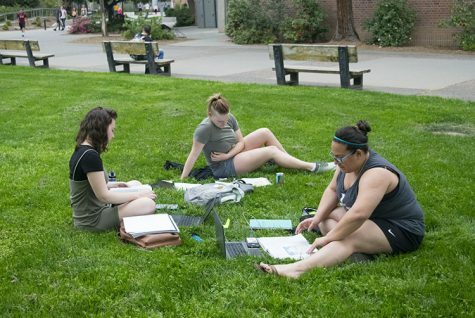 Ashley Linnekin, Courtney Albright and Lorren Sharp (from left) studying in the breezy weather outside the Merriam Library on Wednesday afternoon. 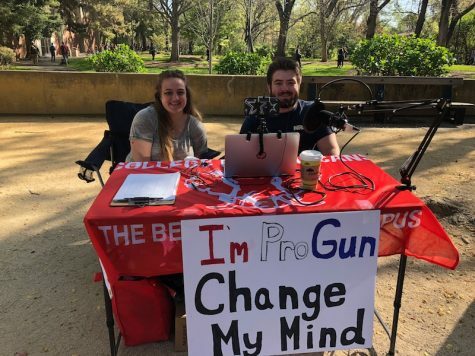 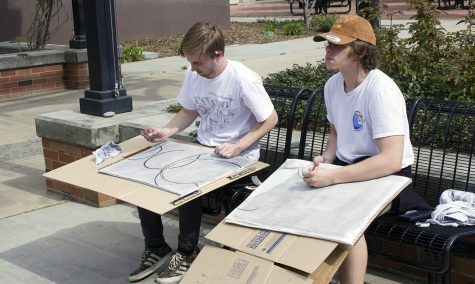 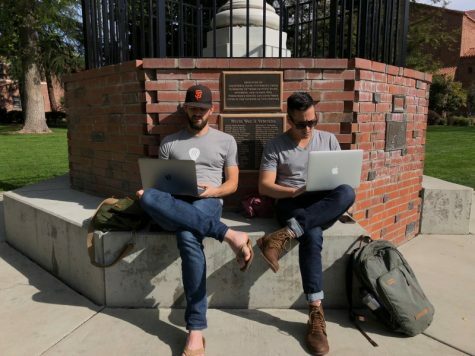 Eli Grusin, left, and Tyler Munstock, right, draw the Ring Roll sculpture on campus as part of an art class on March 29. 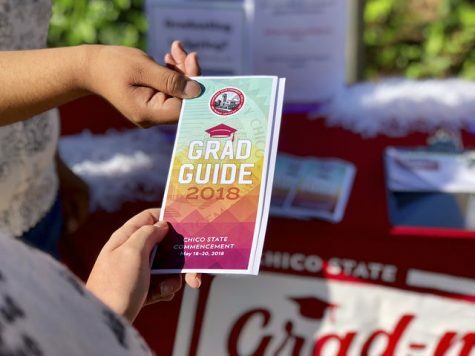 Spring 2018 graduation is around the corner Wildcats, make sure you stay organized, grab a Grad Guide and get your questions answered on campus. 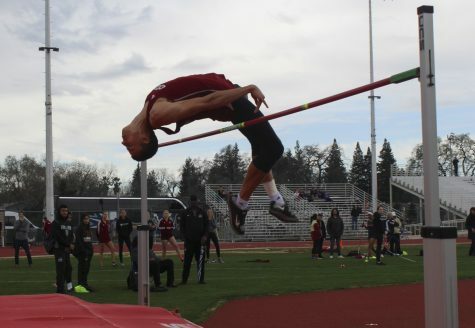 Despite Saturday morning rain, Chico state student athlete & high jump star Tyler Arroyo skillfully wraps his body over pole set at 6 foot 7 inches– a show of raw athletic ability. 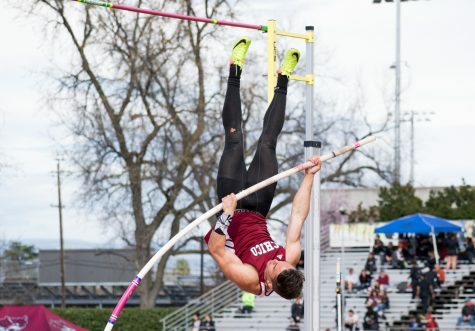 Chico State Pole Vaulter Randall LeBlanc attempts to launch himself up and over the bar at the Wildcat Invitational on Saturday at University Stadium. 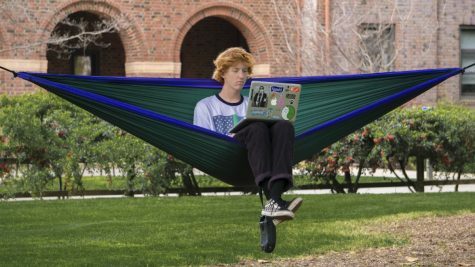 Cody Roberts relaxes in a hammock on the Kendall lawn to take a breather from the dorms on Monday.